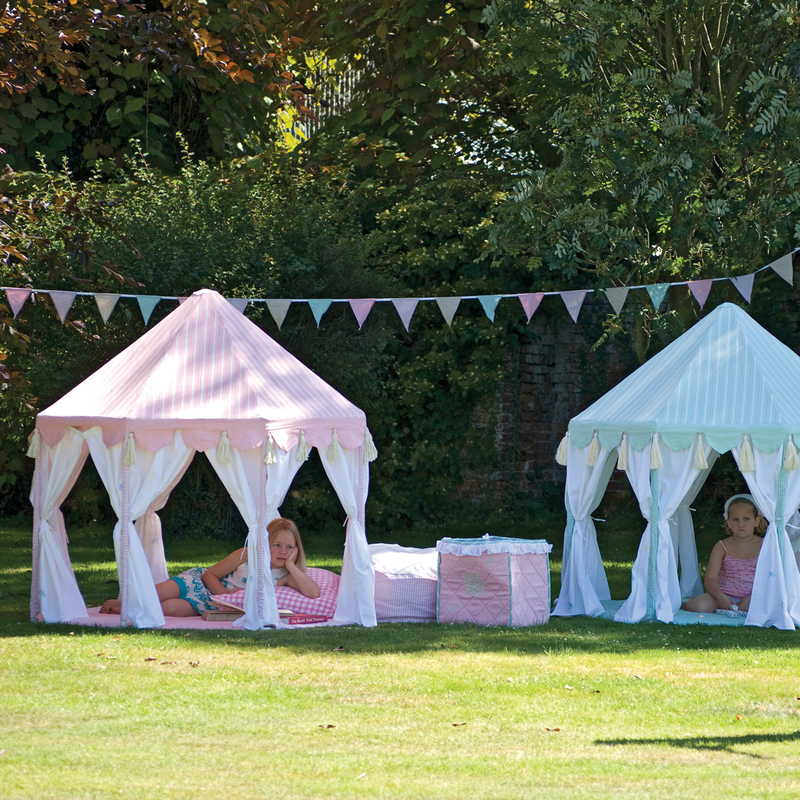 Full Description Summer days in the garden or on the beach will never be the same again! 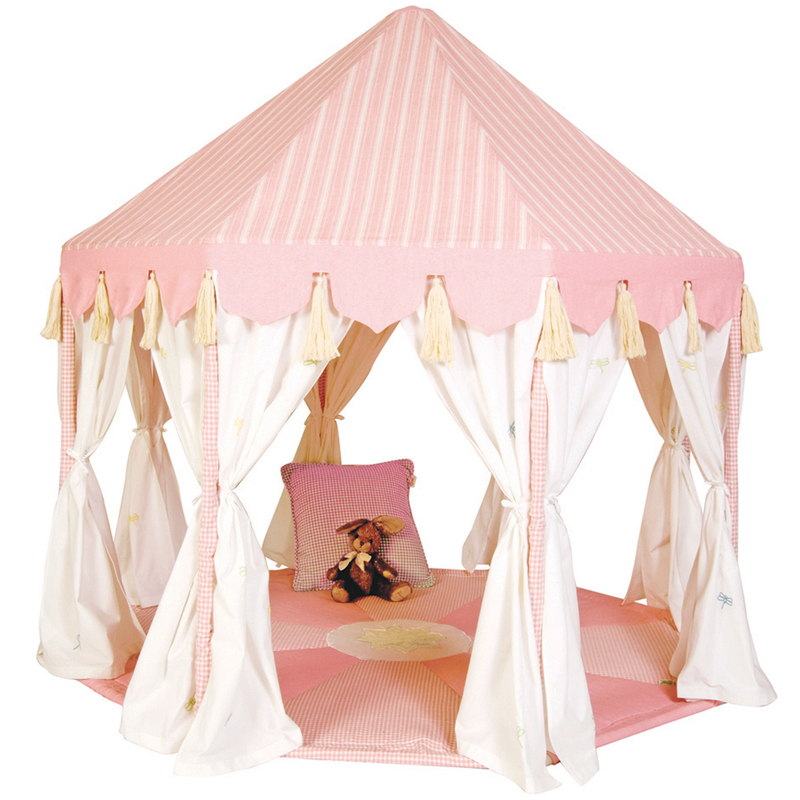 The Garden Pavillion is the most beautiful and enchanting of all garden products. 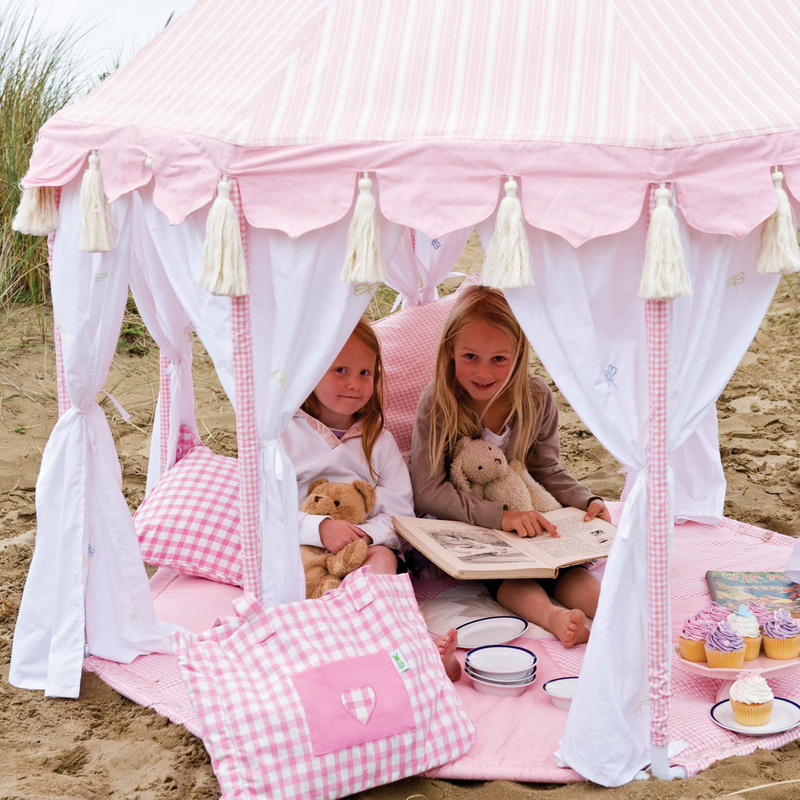 It transforms any outdoor setting into a luxurious kids retreat. 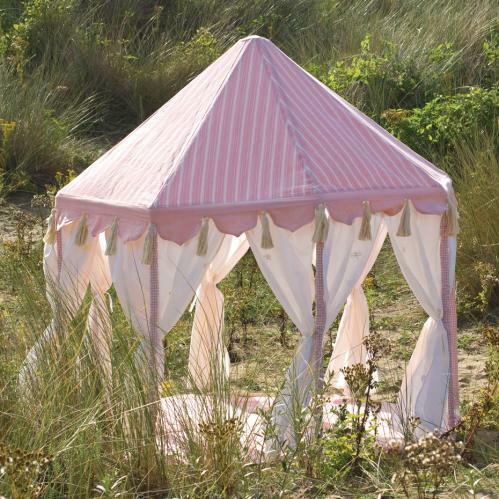 The octagonal shaped pavilion is madefrom 100% cotton, with fully detachable cotton voile curtains beautifully embroidered with little dragonflies. 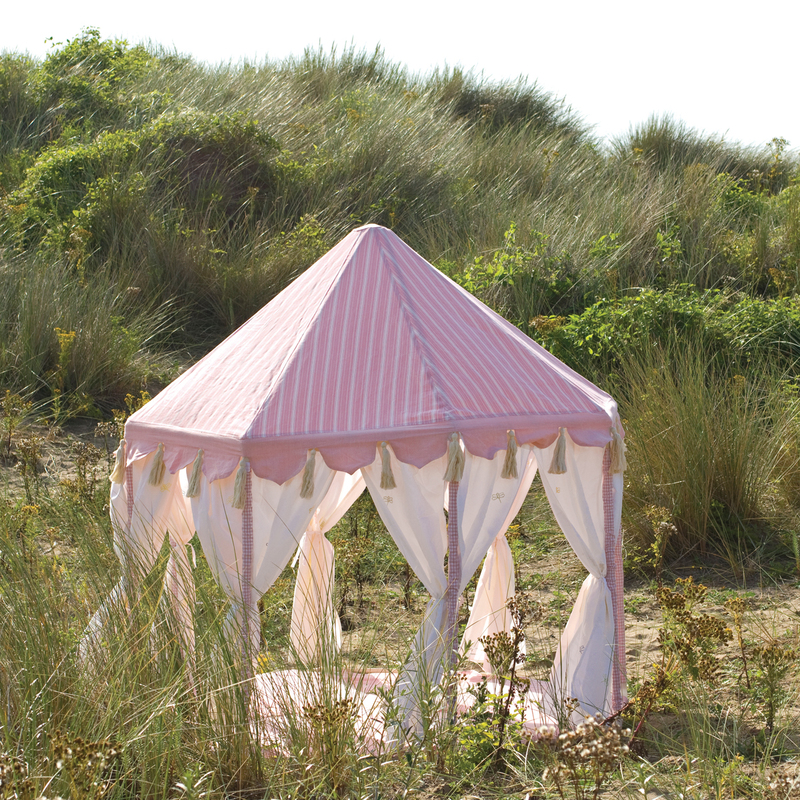 The pavilion is also supplied with a matching appliquéd floor quilt with pastel green gingham strips and an appliquéd centre flower detail. All this fits effortlessly over a light aluminium frame and packs away conveniently into its own storage bag. All pieces are machine washable for even more convenience. This item is custom made for you upon order and may not be returned.